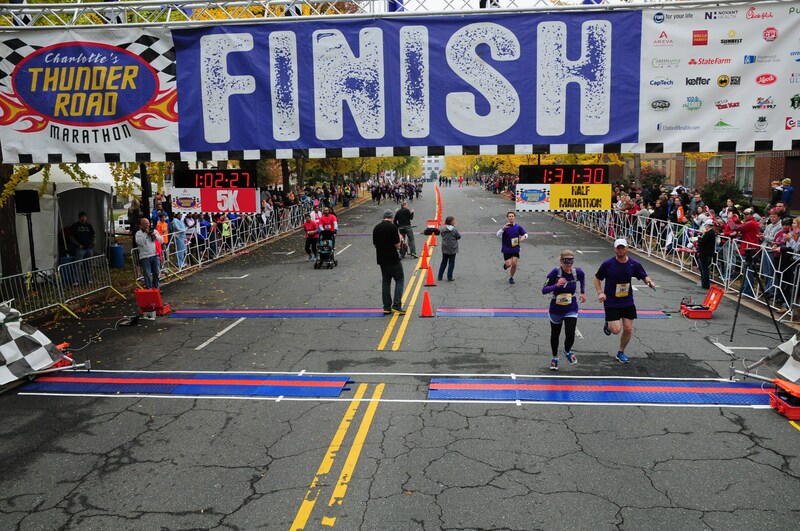 The 2014 edition of Charlotte’s biggest race is less than 48 hours away. I think I’m ready for my second half marathon of the fall season (if not the bitter cold – the temperature for the starting gun is expected to be 27 degrees). You can’t bottle the kind of magic that happened on the course at Charlotte’s Thunder Road Marathon in 2013. Every moment, from the magazine cover two weeks before race day to the heart-racing start to the storybook finish and the Runner’s World column the following spring, exceeded my expectations. The moment I put my medal around my laughing sister’s neck hours later – in the quiet and privacy of my own home – may have been the best moment of all. But the 2014 race will have its own brand of magic. Our friends at Playing for Others bring a passionate, loving, infectious energy to the fight against rare disease, and you can’t bottle that either. I know they’ll write an unforgettable chapter when they step onto the Thunder Road 5K course with blindfolds and tethers and walk 3.1 miles in the darkness in honor of millions like Taylor. My mom, too, will be an angel for Taylor this Saturday when she runs her second 5k. 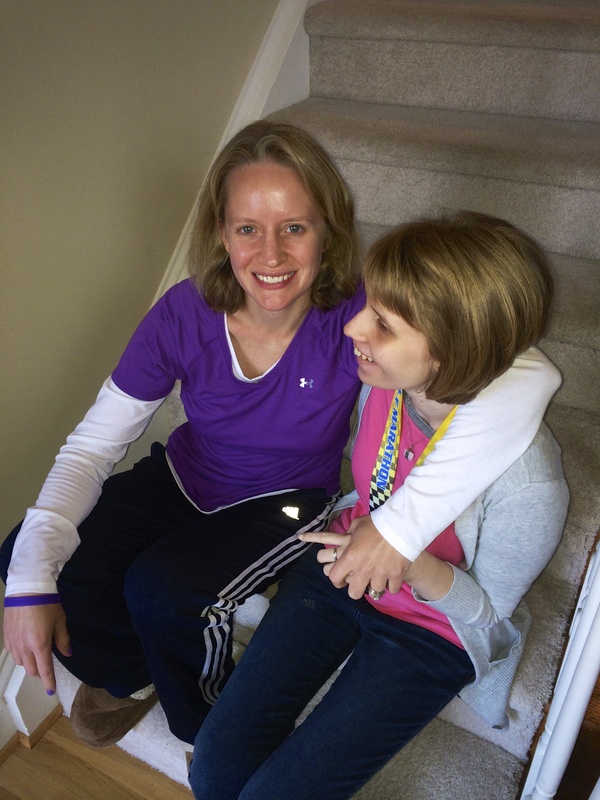 She’ll be joined by others running in purple for the girl who refused to let Batten disease get in her way – until it did. As for me? I’m running 13.1 miles at Thunder Road, but I’m saving my best for the final stretch. That’s when I’ll trade light for darkness one more time and follow my sister’s footsteps home. The half marathon starts at 7:45; I expect to finish between 9:30 and 9:40. The 5K starts at 8:15; the Playing for Others crew could finish as early as 8:45. Playing for Others is hosting an official cheer station at the corner of Graham and Stonewall (mile 13 of the full marathon course). If you want to find a pro-Taylor’s Tale crowd during the race, this is your spot! All races finish on S. Mint Street behind BB&T Ballpark. Find other race information here. p.s. if you live in the Charlotte metro area, watch a feature story about our 2014 effort on WSOC Ch. 9 at 5:30 p.m. Friday.